Meet Devani and her mom, Yvonne Kinghorn. 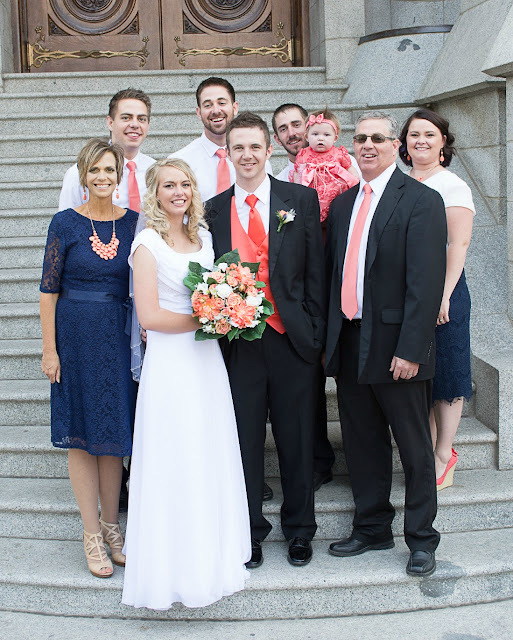 Devani’s mom was first diagnosed with cancer when Devani was only 4 years old. Then again, just five years later. 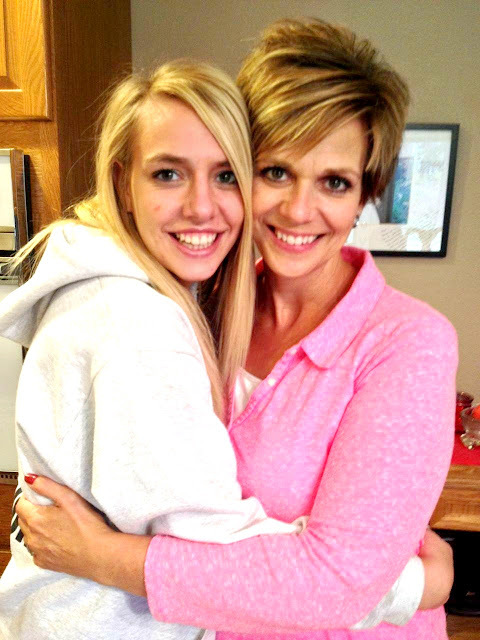 Ten years went by and all was well until July of 2015, when Devani’s mom was diagnosed with cancer for the third time. At the age of 19, Devani was planning her wedding and simultaneosly learning how to deal with her mom’s cancer returning. Though her mom was doing well, she unexpectedly got a bacterial infection, and because of a low immune system due to chemotherapy, Devani’s mom passed away in November of 2015. Devani has learned just how important it is to make every day count, and to always tell your loved ones how much they mean to you. Q: What are some helpful words that were said to you after losing your mom? A: I ran into one of my mom’s really good friends and she told me how one day she and my mom were talking, and my mom was saying how proud she was of me for the young women that I had become. Hearing someone speak of the way my Mom loved and felt about me meant a lot, and it helped me feel close to my mom. A really good family friend told me that my mom may have left her body, but that didn’t mean that she was ever going to leave me. Hearing those words really helped me feel peace. Knowing that even though I can’t see my mom she is still there, and that really helped me see the bigger picture. Q: Are there any comments you have received that have been hurtful? A: Something that people say quite often is after learning about my mom’s passing, “I’m sorry, but wasn’t she sick for a long time?” Even though she was sick didn’t necessarily mean we expected her to pass, and we had hope that she would make it through. Q: Were there any acts of kindness that you appreciated? A: Just service in general is helpful. My brother’s fiancé sent me a link about a family whose mother had recently passed from cancer, and how they learned from the experience. That article really helped me in gaining a new perspective on my mother’s passing, (Article posted below). People sending sweet messages or words of encouragement really helped me. 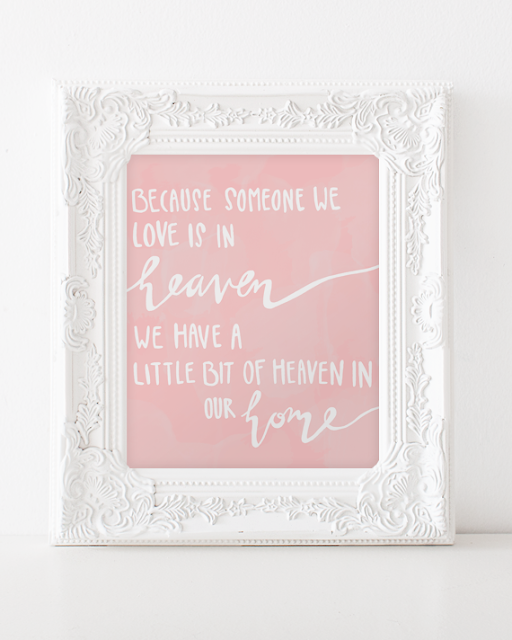 A good friend gave me a quote that says “Because someone we love is in Heaven, we have a little bit of Heaven in our home.” This gift was so dear to me, not because of it monetary value, but because of the thoughtfulness behind it. Download one of these two adorable printables designed by Miss Audrey Sue! Her printables just keep on amazing us! They make a great gift printed and placed in a frame. Or sometimes print them off as a 5x7 and write on the back as a card, and then they can use the print in their home as well. This really hit home for me. My dad passed away of cancer in April of this year. It is so comforting to read stories of those who are experiencing what I am. I'm so glad I came across this post today.